Our Autumn Splendor natural soy votives are highly scented and hand poured with our natural soy wax blend for a clean burn and strong scent throw. 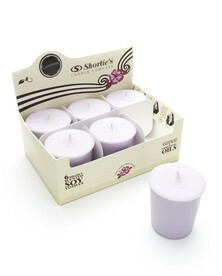 All of our Christmas natural soy votive candles provide approximately 15 to 20 hours of fantastic scent and beautiful candlelight when used properly. 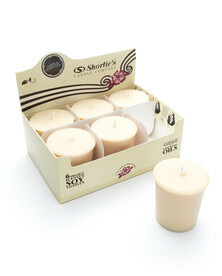 Our Soy based Autumn Splendor Votive Candles are designed to be burned in traditional votive holders, feature a self trimming natural fiber wick, and should use 100% of the wax when burned properly while giving off good scent throw. Because all molded candles use hard waxes that can maintain shape, they are not able to hold as much fragrance as their container counterparts. 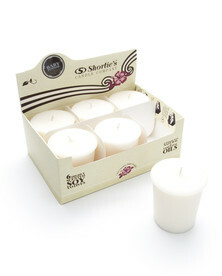 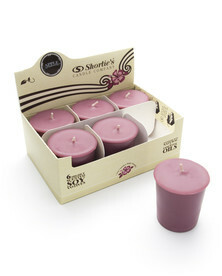 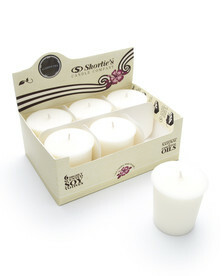 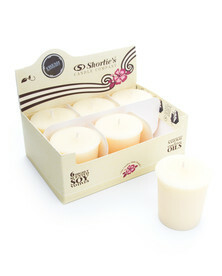 Although, our Christmas votive candles are much stronger than our competitors due to our exclusive soy wax blend.